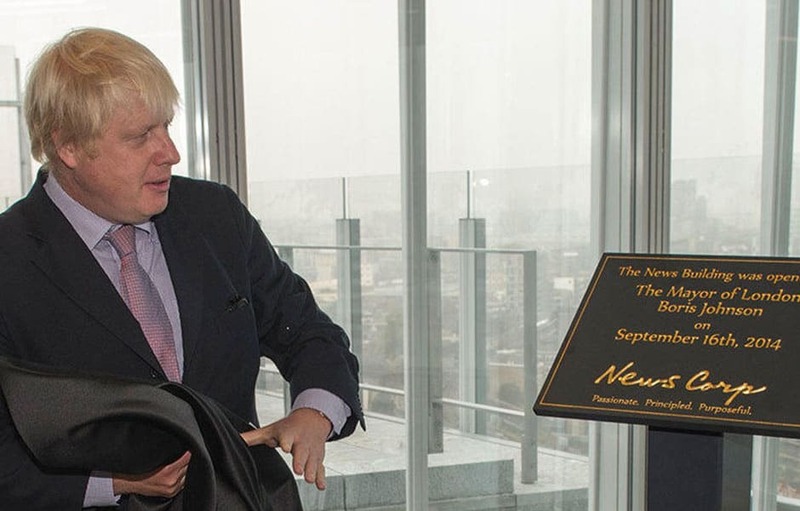 The News Corp Plaque marked the opening the New Building at the London Bridge presented by the mayor of London, Boris Johnson. 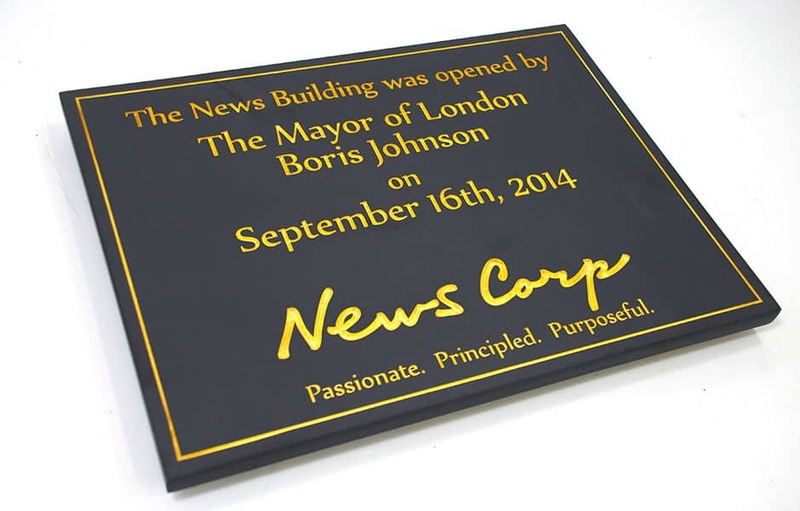 Boris was joined News Corp Executive Chairman, Rupert Murdoch, CEO Robert Thomson and News UK CEO, Mike Darcey to unveil a plaque and officially welcome staff to the new building. They were then taken on a tour of the floors of each newspaper by their respective editors.